Aggressive cost cutting helped Toyota Motor Europe drastically lower its operating loss despite a sharp unit-sales decline in the year ending in March. Toyota Europe's operating loss shrank to 33 billion yen ($357 million) from a loss of 143.3 billion yen in its 2009 fiscal year. During that same period, the Toyota Motor Corp. unit sold 858,000 vehicles in Europe, a decline of 19.2 percent from the 1.06 million units sold in its previous fiscal year. Toyota's Europe sales took a hit following its late January announcement that it would recall more than 1.7 million cars here, including its top-selling Auris, Avensis, Aygo, Yaris and Prius model lines. Europe was the region where Toyota lost the most sales, 204,000, in its last fiscal year. North America was second with a volume drop of 114,000 units. Sales of the Toyota and Lexus brands were hit particularly hard by Russia's new-car sales slump. The combined volume of the Toyota and Lexus brands fell 63 percent to 75,131 units – a loss of 129,631 sales – in Russia last year. Prior to the crisis, Toyota Europe was a money-making machine. It reported 141.5 billion yen operating profit in its 2008 fiscal year. A Toyota Europe spokeswoman declined to predict whether the unit would break even financially in the year ending in March 2011. The company does not give financial forecasts by region. For the current fiscal year the company forecast flat sales – 860,000 units – in Europe including Russia, Ukraine and Turkey. 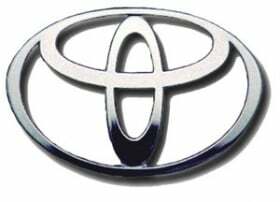 Globally, Toyota Motor forecast its operating profit would rise 89.8 percent this fiscal year to 280 billion yen. Due to rising demand in its No. 1 market, North America, the world's largest carmaker also forecast that its net income would rise to 310 billion yen in the year ending in March, from 209 billion yen a year earlier, the automaker said in a statement today. The company's U.S. sales rose 24 percent in April as incentives boosted demand for its Corolla and Prius models and offset the impact of recalls of more than 8 million vehicles worldwide for defects related to unintended acceleration. Toyota's North American sales may increase 2 percent this fiscal year to 2.13 million vehicles, the company said in today's statement, as the world's second-largest auto market after China recovers from a recession. Toyota's U.S. sales dropped 20 percent in 2009, as industrywide sales slumped 21 percent to 10.4 million units, the lowest level since 1982. The company's sales in the U.S. surged 41 percent in March, after the company introduced discounts across its lineup. No-interest loans on seven models, discounted leases on 10 others and two years of no-cost maintenance for all new vehicles will be extended through the end of May, the company said last week. Lost sales due to the recalls for the year ended in March amounted to about 50,000 vehicles, compared with an earlier estimate of 100,000, Toyota Senior Managing Director Takahiko Ijichi said at a press conference in Tokyo today. The cost of the recalls was between 170 billion yen and 180 billion yen, he said. “We are still in the middle of the storm, but I am feeling that we can see clear skies in the distance,” President Akio Toyoda said. While Toyota didn't say by how much the recalls will cut profit this year, related costs, such as a $16.4 million fine from the U.S. National Highway Traffic Safety Administration, are included in the forecast for the year ending in March 2011, it said. The company set aside an extra 100 billion yen in provisions for warranties last fiscal year. Toyota also expects to benefit from cost savings of 290 billion yen, including cuts to executive compensation, Toyoda said. That may help operating profit surge 90 percent to 280 billion during the current financial year, according to today's statement. In the fourth quarter, Toyota posted net income of 112 billion yen, compared with a loss of 766 billion yen a year earlier, it said in a statement today. Toyota was projected to post 48.3 billion yen in net income based on the average of four analyst estimates compiled by Bloomberg. Sales for the quarter rose 49 percent to 5.28 trillion yen. Toyota based its full-year forecast on exchange rates of 90 yen to the dollar and 125 yen to the euro, compared with an average 93 yen against the dollar and 131 yen against the euro last fiscal year. The automaker predicts sales in Asia excluding Japan will rise 11 percent to 1.09 million vehicles this fiscal year. In Japan, its second-biggest market, sales are expected to drop 11 percent to 1.92 million. Toyota plans to review models and improve the efficiency of its production structure in Japan, North America and Europe, the company said in a statement today. In China, Toyota's sales may exceed 800,000 units this year, compared with 709,000 units sold in 2009, Masahiro Kato, president of the company's China business, said at the Beijing auto show on April 23.